1) What was the result of England vs Holland group match in Twenty20 World Cup 2009? a) England won by 12 runs. b) England won by 5 wickets. c) Holland won by 4 runs. d) Holland won by 4 wickets. 2) What was the result of India vs Bangladesh group match in Twenty20 World Cup 2009? a) India won by 25 runs. b) India won by 3 wickets. c) Bangladesh won by 40 runs. d) Bangladesh won by 6 wickets. 3) What was the result of Australia vs West Indies group match in Twenty20 World Cup 2009? a) Australia won by 19 runs. b) Australia won by 6 wickets. c) West Indies won by 12 runs. d) West Indies won by 7 wickets. 4) By how many runs did South Africa defeat Scotland in group match in Twenty20 World Cup 2009? 5) How many runs did New Zealand score against Pakistan in Super 8 match in Twenty20 World Cup 2009? 6) South Africa scored 183 runs against West Indies in Super 8 match in Twenty20 World Cup 2009. How many runs did West Indies score? 7) What was the result of India vs South Africa Super 8 match in Twenty20 World Cup 2009? a) India won by 14 runs. b) India won by 10 wickets. c) South Africa won by 12 runs. d) South Africa won by 2 wickets. 8) Pakistan scored 149 runs against South Africa in semi-final in Twenty20 World Cup 2009. How many runs did South Africa score? 9) In Sri Lanka vs West Indies semi-final in Twenty20 World Cup 2009 who took three wickets of West Indies for one run in first over? 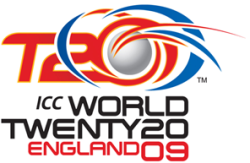 10) Who won Twenty20 World Cup 2009?